My youngest son is not a morning person. He wakes up angry and stays angry pretty much until the bus comes in the morning. By the afternoon he is normal again, happy, and content. It's not that he doesn't get enough sleep, he does. He just hates waking up in the morning and lets his feelings be known to everyone around him. Most mornings I have to get him dressed and carry him half way to the bus stop. This isn't bad since he is skinny and only 5 years old. However, I'm hoping that he starts being more of a morning person before he gets taller and bigger than me. I have had a lot of baking recipes lately since they are the easiest to have time to photograph. Fresh foods such as meat have to be photographed pretty much as soon as they're made without allowing them to get cold so they can still be eaten for dinner. This week I have finally gotten back into my blogging grove and feel that after almost 3 months my schedule has finally settled now that both of my kids are in school. 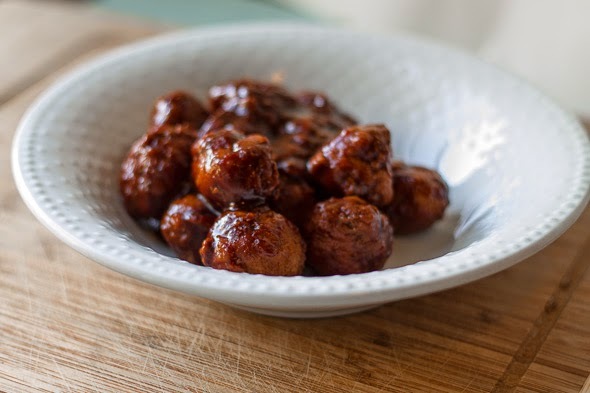 So the recipe I am sharing today is for Sweet Asian Meatballs, the recipe is as follows. Combine turkey, 1 teaspoon soy sauce, ginger, and minced garlic in a bowl. Shape turkey mixture into balls (approximately 1 inch, I ended up with 25 total). 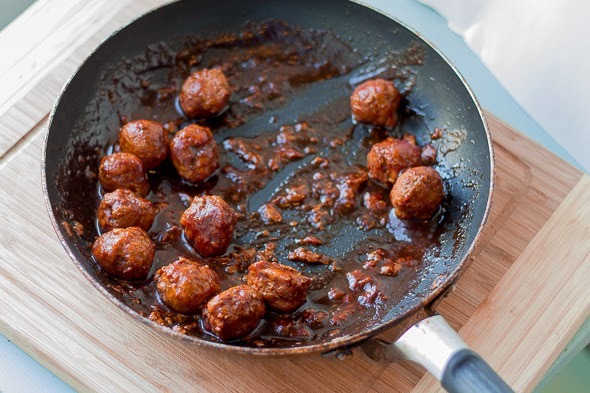 Place meatballs on a foil or parchment lined baking sheet. Bake in a preheated 350 degree oven for 25 minutes, turning once to ensure even browning. Combine remaining soy sauce, molasses, tomato paste, Tabasco, and vinegar in a sauce pan over medium-high heat. Add meatballs and cook 5 minutes, or until sauce has reduced. Serve as an appetizer or with rice for a main dish. If you don't have Tabasco, another type of pepper sauce would also do. I prefer 93 percent lean ground turkey. A leaner cut ends up too dry, and fatter cuts end up grisly and fatty. My oldest son isn't a morning person and neither is my toddler. It takes her a while to adjust before she's her cheery self once again. Ann I'm going to try these. 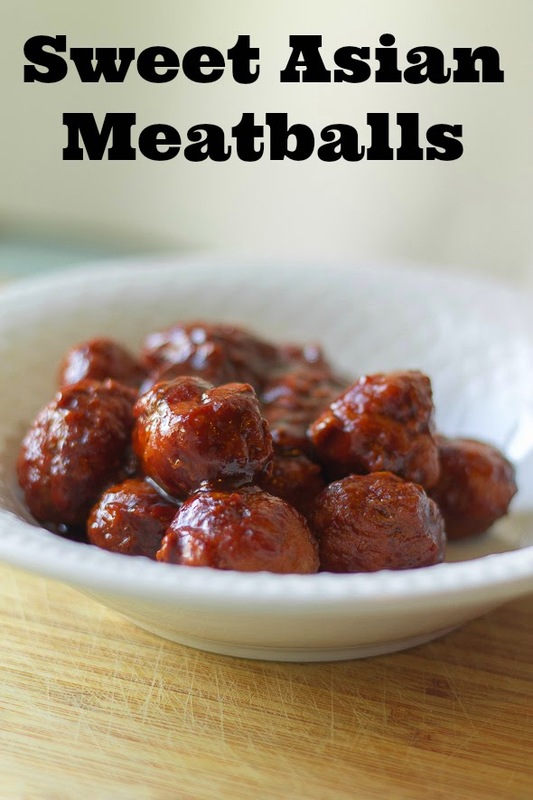 I love meatballs and I'm always looking for new ways to make them. Will be trying these this weekend. Sadly, BOTH of my boys are morning people AND night owls. They both hate to sleep apparently. Im so happy that you featured this recipe today. Being Asian myself, this is a favorite. A family fave. Aw dear my daughter isnot a morning person and she can be really upsept if she has to wake up early! These asian balls look delicious! My youngest is the same way. He is not happy in the morning! So much for my vegan post today! Now I want a bowl of meatballs! I would eat vegan more if my husband and kids would go for it :) They are insistent on meat with almost every dinner. I was a vegetarian for almost 10 years, so I am fine without meat. Going vegan would be a little harder since I do like butter and yogurt. These meatballs look fingerlickingly delicious, Ann. The sauce sounds particularly delicious. The sauce is the best part! My daughter was just like you described here...for years. She's a Sophomore now, but she still has her days. ;) The meatballs sound like a great recipe to make!